British TV presenter, Jeremy Clarkson has hit the headlines with his poorly-judged comments about public sector workers. Union leaders demanded an apology – and got one. Now the BBC has received almost as many complaints about Clarkson as they did about Jonathan Ross and Russell Brand – both of whom were publicly ditched by the Corporation. However, if you look at many of the comments on the BBC website about the Clarkson incident you will notice that they are evenly divided: some people support what he said, whilst others feel he overstepped the mark. Jeremy Clarkson has made a career out of being controversial. He entertains by appearing crass. It has served him well as a newspaper columnist and TV personality. His “brand” is either one you like, or dislike. 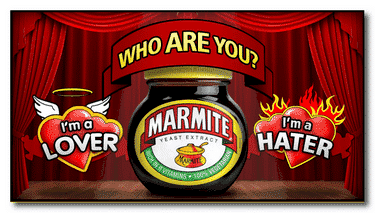 He is the proverbial “Marmite character”. And that partly explains why some people support what he said and others want him to get the same treatment he suggested should be given to the strikers. But what is interesting is why people should either rise to his defence or be even more critical of him than he himself was about the public sector workers. The answer is provided in new research due to be published in the Journal of Consumer Research. This showed that when people like a brand they behave in ways which confirm their affinity to that brand; and when people dislike a brand they start to do things which show even more how much they don’t approve of it. So, in the Clarkson case, the people who like him and find him entertaining are those Tweeting in support – and perhaps saying similar things down the pub to their mates. The research suggests they will potentially exaggerate their comments to prove their fondness for him. Meanwhile, those who dislike him will be pouring out bile and vitriol against him, just to prove how much they detest him. Research shows we do the same with non-human brands. So, for instance, people who love Apple tend to behave more creatively when asked about the brand – they start to take on some of the “personality” characteristics associated with Apple in a subconscious bid to prove their affinity to the company. What it suggests is that brands exert social influence – they make us behave in ways which demonstrate our love or hate for the brand. However, this new study shows that our behaviour is not solely based on the brand itself – as much as brand owners would like to believe it is the case. Influential in our behaviour towards brands is our pre-existing liking or otherwise for that brand. If, for instance, people love Starbucks they will walk to the nearest store even if it is on the other side of town. But, if they really want a coffee and the cannot find any other coffee shop other than Starbucks, they’ll go out of their way to find a tea shop. Far from Starbucks being able to convince them to step inside using their warm and friendly brand personality, the people who dislike Starbucks will actually change their behaviour and walk away, this new research implies. What does that mean for your online business? It suggests that spending all your time on creating your brand, ensuring it has some kind of personality and a certain type of appeal could be a waste of time. If people do not already like your brand characteristics you will actually push them away from you, now matter how hard you think your message will convince them to give you a go. It is yet more evidence that knowing more about your customers and their likes and dislikes is much, much more important to your potential success than focusing on your branding. Indeed, this is perhaps another piece of research which suggests that much time spent on branding is wasted. Unless, of course, your name is Jeremy Clarkson and your personal brand has successfully placed you on the front page of every newspaper. To him, that could well be success. Is your website personality attractive enough? As soon as someone lands on a web page, they get a "feel" for your site. But are you showing the most preferred personality traits? Misses the point – knowing your audience and branding to appeal to them will work. Marketing is not pleasing all people all the time. Thanks for your comment Daniel; but I don't think I am missing the point. The research clearly shows that if people do not like your brand in the first place, their behaviour actually makes them less likely to behave in ways which make your brand acceptable to them. In other words even if you know what might appeal to these people, you will not be able to attract them to you.Their pre-existing thoughts and feelings about your brand colour their behaviour.